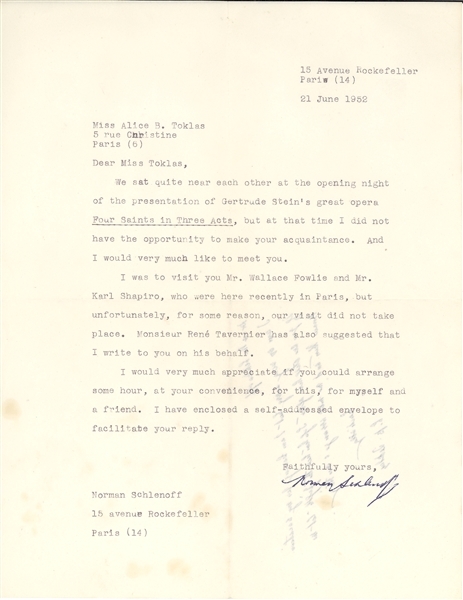 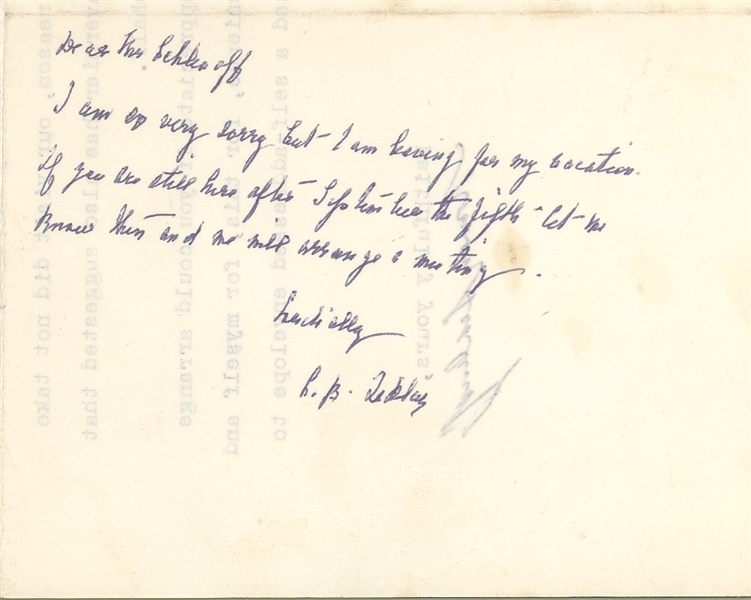 A short ALS response by Toklas to an admirer who had wanted to meet with her sometime in Paris and wrote to her asking if possible. 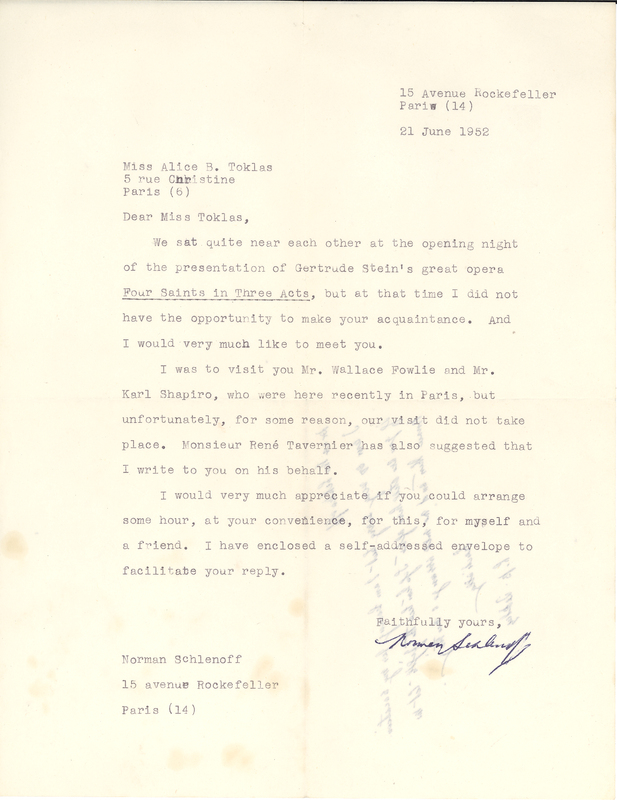 Mrs. Toklas responded on the back of the TLS talking about the time when they where at the same opera and if she could find the time to meet with her and a friend. Alice Babette Toklas (April 30, 1877 – March 7, 1967) was an American-born member of the Parisian avant-garde of the early 20th century, and the life partner of American writer Gertrude Stein.